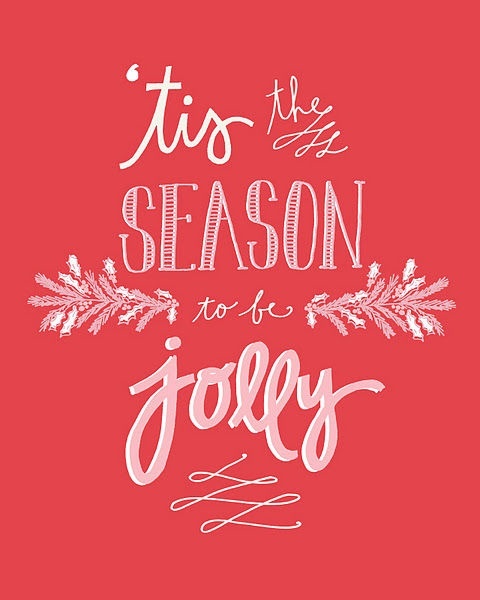 What holiday do you celebrate this time of year? I’m a Christmas girl. It’s my second favorite holiday (see below). Do you like holiday songs? If so, which is your favorite? For the more traditional carols, it’s always been the “Carol of the Bells.” However, one of my favorite groups released a Christmas album this year, and I found it via a friend’s post of Facebook. I highly recommend checking out Pentatonix’s YouTube video for “Mary, Did You Know?”; it grabbed me by the throat and I knew I’d be playing that from now on as my favorite. It’s a tie between “The Muppet Christmas Carol” and “The Very Merry Muppet Christmas Movie”. What is your favorite family holiday tradition? The candlelight service on Christmas Eve at whichever church we’re attending. This year, Mom and I will also be singing, so Dad will be stuck in the audience surrounded by strangers. The downfalls of a small family I guess! If you could change one thing about the holiday season, what would it be? I wish that retail stores would let us enjoy one holiday at a time instead of forcing us into HallowThanksMas three months early. I know they have a bottom line, but seriously. Christmas in July is fine, but give us a break in the interim, alright? Do you prefer giving gifts or receiving them? Do you prefer snowy or sandy Decembers? Besides December holidays, what is your favorite holiday? Easter is my favorite holiday. I was born on Easter Sunday way back when, and so Easter lilies are my favorite flower, too. If you could name a reindeer for Santa’s sleigh, what would you name it? What is your favorite holiday-related book? Does my big coffee table book on “It’s A Wonderful Life” count? Good. If you were to write a novel that took place around the holidays, what would the main idea behind it be? Funny you should ask. My first novel (that is still in progress a decade later), The Great Boyfriend Experiment, has a middle that takes place at Thanksgiving and climaxes at Christmas. Check out the synopsis here on my blog to find out more, and also see what made the main characters’ playlists. Yep, there are repeats here from the Liebster and from Kate’s post, so you’re not seeing things. These are the blogs I read and gain support from or entertain me, so yeah, I’m duplicating. The more the merrier! I know many of you may have taken a hiatus for the holidays, so don’t feel obligated to participate. If you do, though, here’s a few questions for ya. Do you decorate a lot or a little for the holidays? Do you have any totally off-the-wall family holiday traditions? Tell about the strangest holiday you’ve ever spent. What is your favorite holiday beverage? If you were to dress up as a holiday-related character for a costume party, who would you be? Have you ever made a snow angel? If you could spend the holidays anywhere on earth, where would you go? Do you steal gifts during a White Elephant exchange, or do you let them go? Post a picture of your best Ugly Christmas Sweater. If you don’t own one, search for one and post the one that appeals to you the most. In my family we made up our own holiday characters, such as The Christmas Phantom (who only brings fun presents like puzzles or games) and Sandy Claws (who gives gifts to the furry kids). Do you have any non-traditional holiday characters who make an appearance? Alright, that’s it! Have a safe holiday everyone, and I’ll catch up with you next week. Author NikkiPosted on 12.24.2014 Categories GB Experiment, Nominations and Awards, RamblingsTags angels, candlelight, Carol of the Bells, Christmas, GBE, Jolly Blogger, Mary Did You Know?, Muppet Christmas Carol, Muppets, nominations, Thoughts, White Elephant2 Comments on Nominated Again? Jolly good! Instead, GBE is set in Kalispell, Montana, a lovely place I visit now and then, and fell in love with at first sight out of the plane’s window. My honorary aunt and her family live there, and V is very kind in letting me stay with her whenever I feel the need for a change of pace. I also plan to “retire” there someday, if I can swing all that’s involved in relocating. 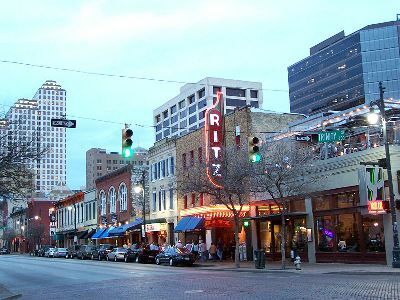 Until then, I’m based in the other city where GBE begins and concludes: Austin, TX. So I went to Google maps to get the layout of Kalispell, and found that I liked the default map Google showed much better than the one I could embed on the page, so I’m adding a capture of that image instead. Places of note: a hop and a skip west of the city airport is our heroine’s neighborhood; Flathead Valley Community College where our heroine takes classes and meets our hero is about 2 miles north of the red A marker on Highway 93. Now for something completely different, here’s the image capture of Texas’ capital city Austin. Places of note: our heroine’s family lives northwest in the Jollyville area; the job our heroine left behind when she moved to Kalispell is just past downtown in Rollingwood; the University of Texas at Austin, our heroine’s alma mater, is somewhere behind the red A marker, as is the Rio Grande campus of Austin Community College that she attended as well. So there you have it, the two major cities of my current work in progress. I’m now thinking that I should revisit this topic at a later date and identify on a map all of the places referenced during the course of the novel once it’s done. Wouldn’t that be interesting! Hi there, everyone! I’m writing to you now that I’m home from my first day of writing this NaNoWriMo season, and also following my first Saturday write-in with fellow WriMo and friend Meagan. It was the first time I’d put fingers to keyboard this month, and it didn’t go too badly. Not only did I actually write (that in itself is a huge win), but I didn’t stop until 3:59 PM, one minute before the end of the Cedar Park Library’s end time for our little social event. My diligence meant that I not only made the daily word count that will propel me to the end of this novel (even if I don’t hit 50k words in one month), but I also got in a few extra words to boot. Huzzah! It felt good to have time devoted to just writing, and a large block of time at that. I think it helps me actually write something decent, and is much more productive than trying to sneak in a word or a sentence or a paragraph in between this break or that lunch. During those times it always seems like you get on a roll and just when you’re getting to the good part, you have to quit and pack up right in the middle of a thought. Today, I made it through to a great stopping point and even (I think) improved the way the story played out. Now we’ll see how things go for tomorrow, and the rest of the month as well. It’s not just about the word count, although I do like to keep track of such things, but about getting one word/sentence/paragraph/page/chapter closer to finishing. That’s the real goal here, and I can almost see its light at the end of this tunnel. Well, Camp NaNoWriMo, “an idyllic writers retreat, smack-dab in the middle of [my] crazy life,” begins again on Wednesday, August 1st. As those few of you who followed my progress in June know, the month got off to a pretty successful start (as all these NaNo projects usually do), then crashed and burned big within a few short days. 1. A little bit written is better than none at all. 2. I’m still excited about my story when someone new asks me to tell them about it. 3. I promised myself I wouldn’t work on my next project that takes place here in Austin until I finish this one, and I really want to write that book. 4. 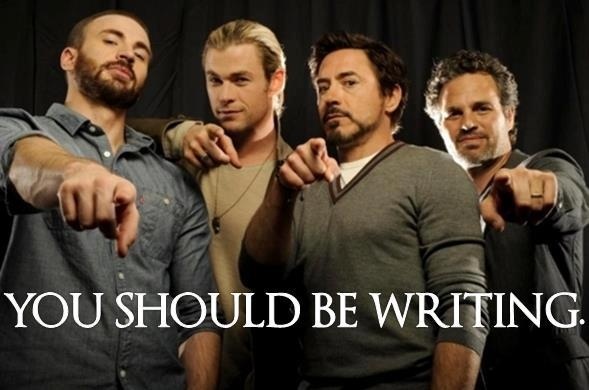 When I’m procrastinating, I keep picturing this reminder from the Avengers. 5. After all is said and done, writing is still really, really fun, and finishing my very first manuscript will feel like this! So once more this summer I’ve packed the bug spray, stocked up on Twizzlers and Diet Coke, and gotten myself a whole new batch of campers as cabin-mates. I have no more planned or unplanned distractions like getting caught up in world building for a series that has 10 books ahead of it on the Grand Writing Plan schedule. I know I can find a way to work around work with the choir rehearsals and my French class’s lectures and homework and get those word count numbers spinning because I have in fact done it before. I think what I need now is what Kate Winslet’s character Iris from the movie “The Holiday” needed, something slightly resembling…GUMPTION. Hi everyone, I’m back again, this time after a nice and calm and uneventful day of work. Instead of heading back to my cabin at quitting time, I decided to utilize an alternate writing location in order to a) limit the amount of distractions that usually occur in the form of munchies, a cat and a television, and b) get as much cranked out in two hours as possible before making the trek home. This turned out well, as in just under two hours I was able to get very close to reaching my daily word count in one session (1,337 for those who like to track the numbers). on top of that, I had a great idea that replaced an earlier great idea for the end of this chapter and the next one, and added it to my notes at the end of the file. That done, I ejected my flash drive and headed back to my cabin to feed my kitty — of course she came with me to camp! — and to take a short break. My second session at the keyboard, this time with my book’s soundtrack playing in the background and my kitteh within reach, resulted in another good effort. I end the day with a count of 1,995. Yay! I bet you’re wondering, why didn’t she just keep going? It’s still early enough in the night she could even double her current word count! Well, I thought of that. I did, really. What also occurred to me was that the next section was going to be full of emotional upheavals, revealed secrets and the first of many confrontations facing our MC’s in these last chapters. I really wanted to work on that when I knew I had plenty of time without having to stop because I had to go home or go to bed or some such. I didn’t want to get right into the thick of things and then suddenly have to quit because I was so tired my eyes were drooping, or my lunch hour was over, or it was plain and simple lights out. So, it awaits for tomorrow night’s session. Besides, it’s actually something good to look forward to, and we all need that once in a while, right? Hi everyone, I’m back, direct from my new cabin at Camp NaNoWriMo. I had one camper opt out of staying in my first cabin, and the others were not terribly sociable, so I switched cabins on Friday night. My two other girlfriends at camp with me are still in neighboring cabins, and two of my four new roomies are chatting, and that’s what I was looking for, so I think I’ll stay put. When Saturday rolled around, I got out and about for lunch and then a case of homesickness set in, not to mention having a pretty nasty reaction to my first mosquito bite of the season–I don’t know how he got me, but he definitely left his mark! So… I hid out and didn’t attend my writing session. Then on Sunday, after attending services, I headed out to a six-hour event that ended up doing a number on my shoulder, which kept me out of the game the rest of the evening and Monday. I had some hope that Tuesday would turn things around. I put in my full day of work, and then jetted off to choir rehearsal at 7:00. Returning to my cabin two hours later, I got everything set up and away I went and actually started writing at 9:30. I picked right up where I’d left off with no hesitation, fairly certain I knew where the story was going. I’d even put new batteries in my mouse so I could disable the touchpad mouse that has a tendency to randomly move my cursor while I’m typing and make some interesting word combinations. I was on a roll, typing away not even looking to see how much progress I was making with page or word counts, when WHAM! My cabin went dark as the power went out, flickered once, twice, then stayed out. A moment later I was very, very thankful for my laptop battery. It saved me literally from having to redo the 902 words I had written in the past hour, and provided enough ambient light to make it to the kitchen where my handy emergency flashlight was waiting for me. I proceeded to call in the outage and was told it could take as long as two hours for the power to be restored (that would be 00:30 for those of you keeping track of the timeline). Sighing as I hung up, it became quite obvious at that point that my plans to get caught up had been quite effectively thwarted by a completely random electrical snafu somewhere out in the non-camp world. So I lit a couple of tealight candles to save the flashlight battery, set my back up alarm clock in case the power didn’t come on before the morning, hugged my pillow and curled up on the couch to wait and see if maybe the power came back on in time for me to sneak in a little more writing. The next sound I heard was the harsh electronic beeping of my back up alarm going off on my living room table. It seems I’d fallen asleep while waiting. Hi everyone! Nikki here, direct from her rustic cabin at Camp NaNoWriMo! I have just finished my first day’s writing, and I’m glad I decided against time in the pool with the other kiddies in order to get a good start on writing. With little effort I was able to pick up where I’d left off, introduced two new characters–the fiancée of the MC’s brother and her two-year-old daughter who didn’t do so well on the plane trip from Dallas to Los Angeles–exceeded the recommended minimum word count for the day, and completed an entire scene. I can tell you it felt pretty good to just have the words flow with no hitches, stumbles or train wrecks. I knew where I was going and I got there, and I know what happens next. (I even left myself a little note in case I need a nudge tomorrow when I return to the story.) In fact, that next scene is a pivotal one, leading directly into The Confrontation, a scene I’ve been dreading for months now. It started out one way, and three days hence in the story timeline, and I think I know how it’s going to come together. Of course, stories have a way of going they way they want to, no matter how hard you might try to steer them in one direction. So it’ll be interesting to see if the characters follow my lead or if they veer off to No Man’s Land instead.